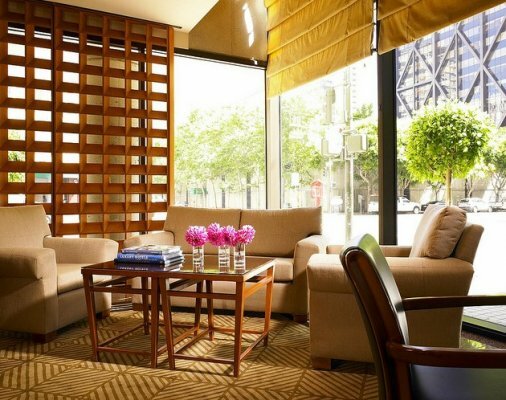 Le Méridien San Francisco is a luxury hotel located in the heart of San Francisco’s Financial District. 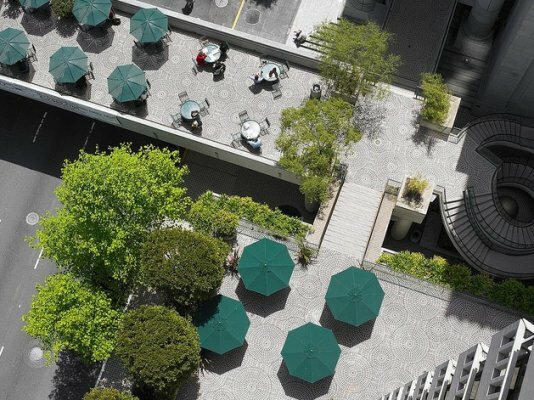 Our hotel is connected by a landscaped pedestrian bridge to the historic Federal Reserve Building, and the shops, entertainment, and cafés of the dynamic Embarcadero Center. 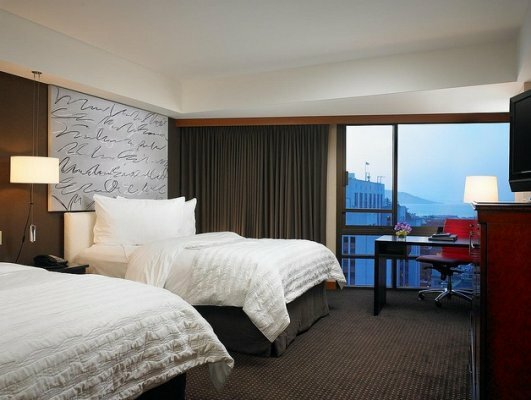 Le Méridien is also steps away from San Francisco’s main leisure attractions such as Chinatown and the California Street cable cars, with easy access to Fisherman’s Wharf and Ghirardelli Square. 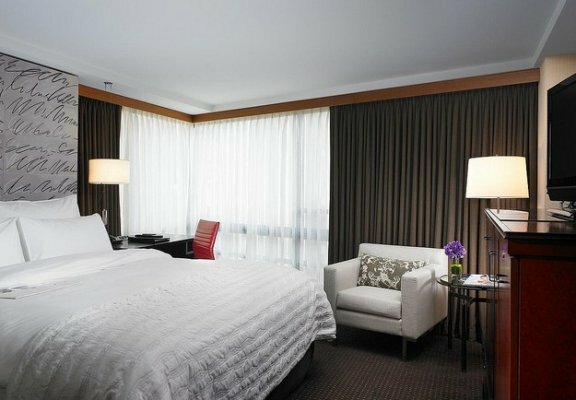 The guest rooms are spacious and many offer sweeping views of the bay as well as the city. 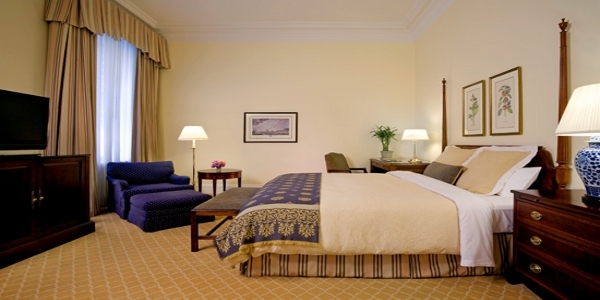 The rooms have an attractive, contemporary décor and appointments with fine furnishings. Accommodations are 100% non-smoking and are equipped with wired and wireless High Speed Internet Access, plush robes, beds with 300-count Frette sheets, down duvets, and a Nakamichi stereo/CD player. Room service is available 24 hours a day. A professional staff and superior facilities, including onsite catering and audiovisual resources with state-of-the-art telecommunication services, provide support for all your conference needs. 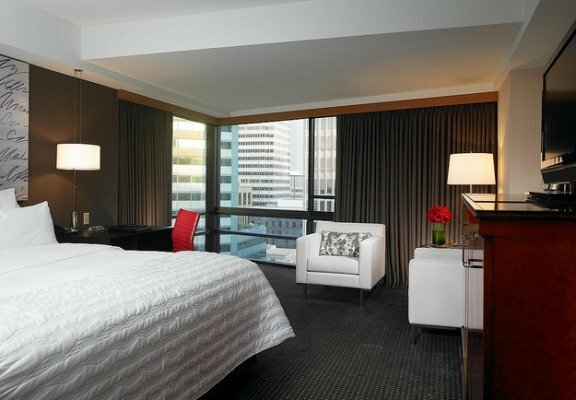 Le Méridien San Francisco… the premier choice in the downtown area for your next executive conference, meeting, or retreat. 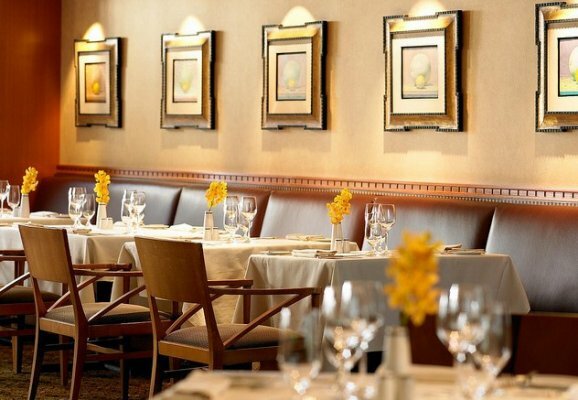 Impeccable service is promised at every turn. The trademark of sophistication, our award-winning Les Clefs d’Or Concierge professionals, will treat you to the highest level of service. Wireless High Speed Internet Access is available in all public areas, ensuring instant connection when needed. 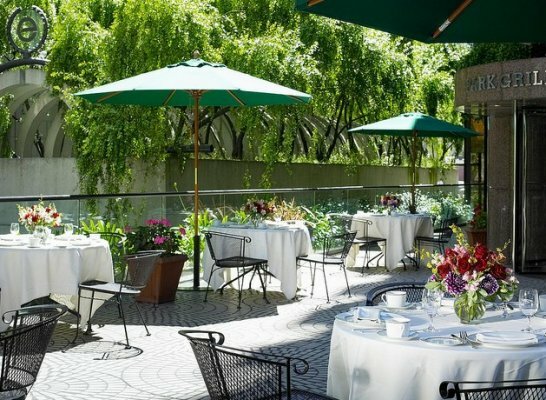 Valet parking is available for our overnight guests as well as the guests in our dining venues. Paid parking is also available at the Embarcadero Center Garage across the street. 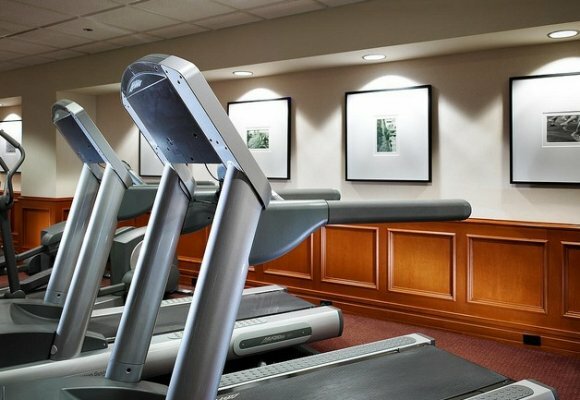 Additionally, complete your stay by keeping active at our onsite fitness centre, which features a variety of cardiovascular and strength-training equipment. 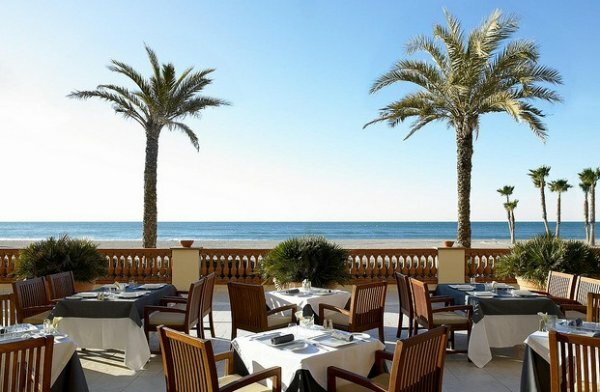 As our guest, you are also offered access to local fitness centres, or swimming at the Bay Club for a fee. 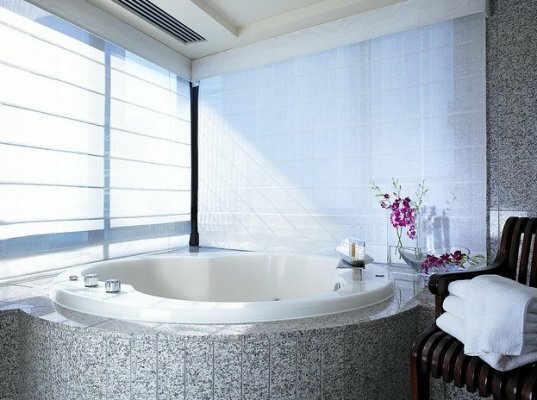 Experience a fresh approach at this Le Méridien – a completely smoke-free environment. 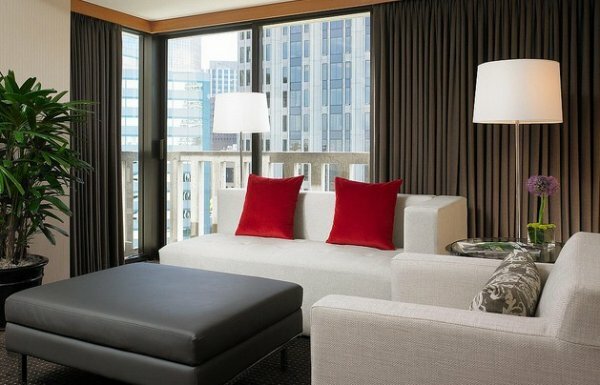 Le Méridien San Francisco offers a total of 13,107 square feet of function space and 3,052 square feet of pre-function space. 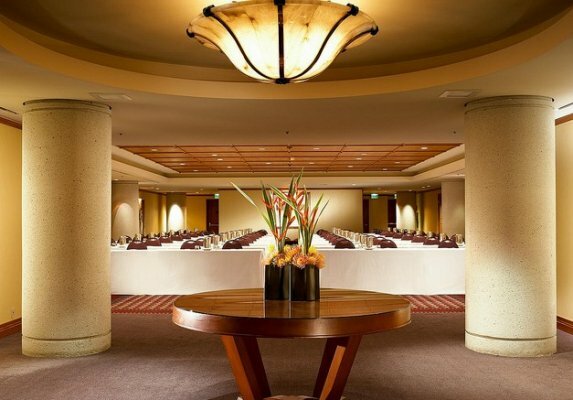 Graced with Australian lacewood paneling and crystal chandeliers, our 14 intimate meeting rooms can accommodate up to 100 guests and are ideal for small executive meetings or large conferences. 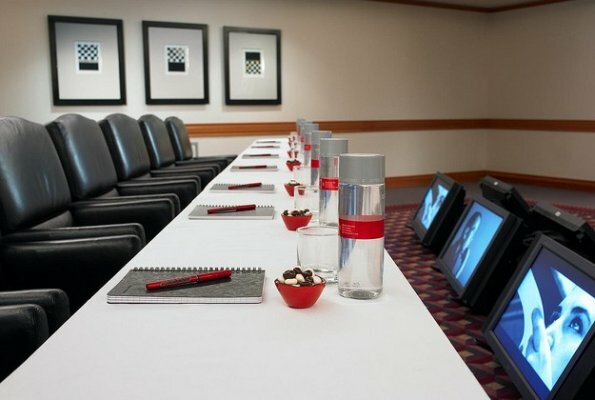 Four Executive Boardrooms seat up to 16 guests and are outfitted with black marble tables and comfortable leather chairs. All meeting rooms offer individual or master controls for heat/air-conditioning, sound, music, telephones, multiple electrical/microphone outlets, special lighting effects, audiovisual services, 110V single-phase electricity, and 220V single-phase electricity. Additionally, High Speed Internet Access is also available. 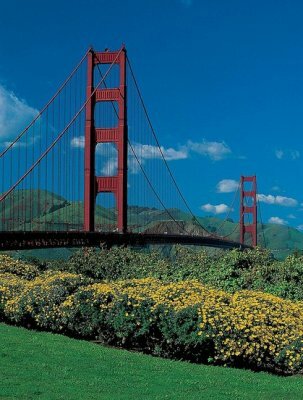 Our cosmopolitan and luxurious hotel is one of the most sought after locations for San Francisco weddings. Our wedding professionals will ensure that sumptuous cuisine, exquisite linens, and elegant flower arrangements take your breath away. 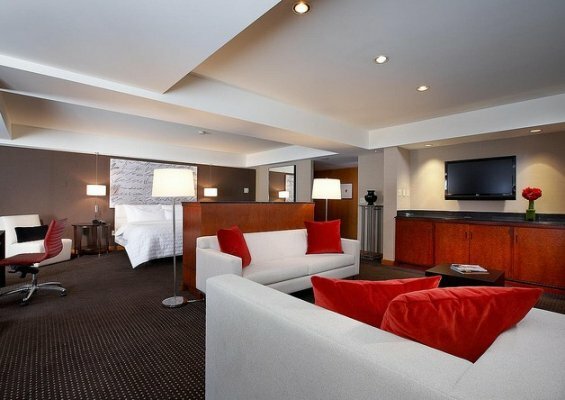 Complete your day in one of our elegant suites, accented with chilled champagne and views of San Francisco. 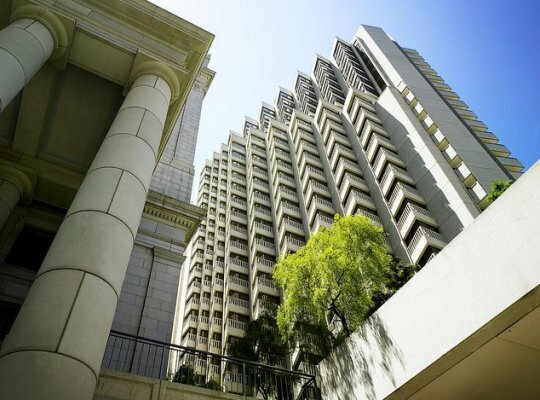 Linked to our hotel by a sky bridge, the adjacent historic Federal Reserve Building offers a stunning and classic locale. Banquet seating is available for up to 400 guests and a reception capacity for weddings and special events of up to 1,000 guests. 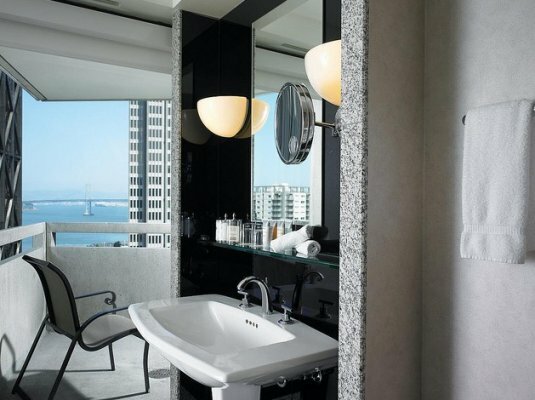 Le Méridien San Francisco offers a truly unique experience in every one of its 360 stylish guest rooms and suites. 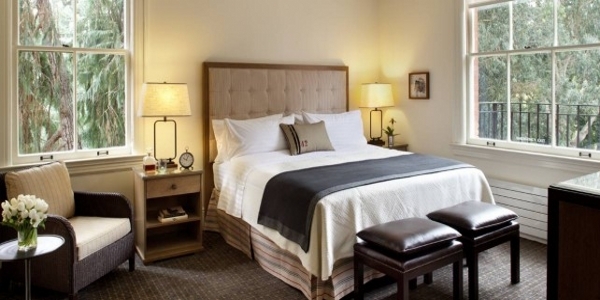 All rooms are 100% non-smoking and their warm earth tones create an inviting ambiance, from the granite bathroom to the luxurious sitting and work areas. 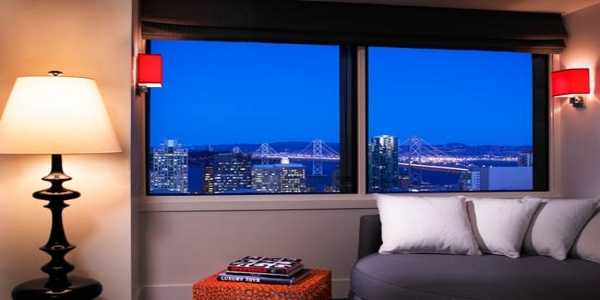 Glance through the bedroom windows and marvel at the remarkable San Francisco skyline. 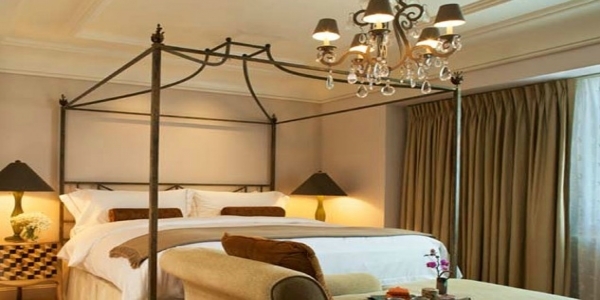 One king or two double beds with plush pillows, soft sheeting, thick down blankets, and pillow-top mattresses promise you a peaceful night’s rest. 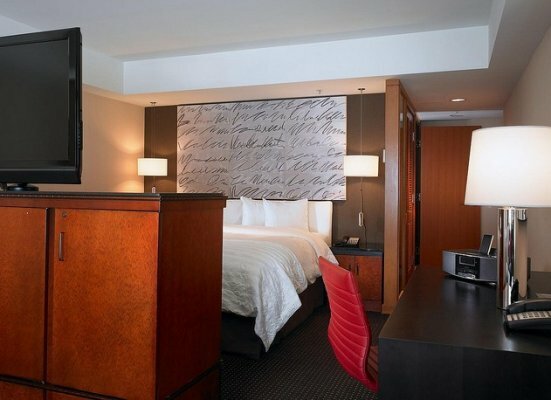 Complete your stay with indulgent amenities as plush bathrobes, turndown service, stereo system, and wired and wireless High Speed Internet Access. Our culinary team creates fresh and timeless flavours with modern flare for our in-room dining experience, available 24 hours a day.